Now I understand why my ultimate travel god, Anthony Bourdain, kept returning to the country. He just could not get it out of his system and aptly so. Vietnam has a spellbinding magic and it will hold you in its spell until you lose the strength to resist it. 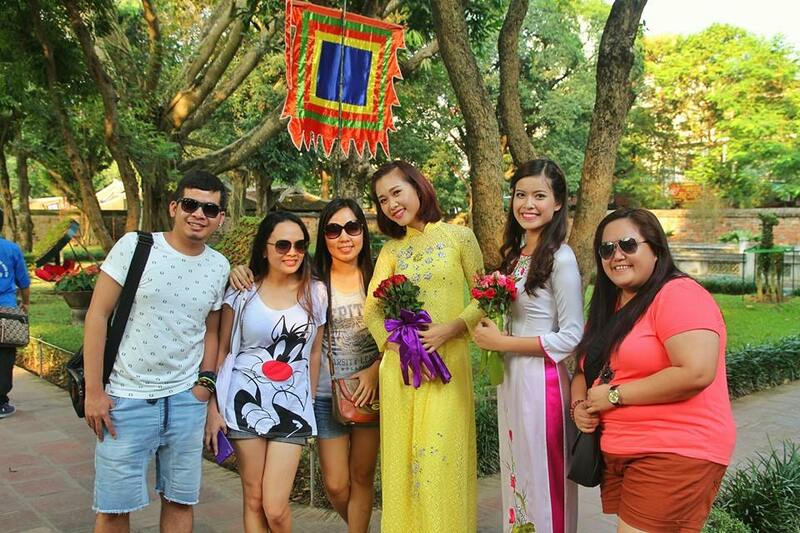 I did not have much of an expectation before I went to Hanoi. Nothing really registered aside from the famed beauty of Halong Bay. I was pleasantly surprised and like Anthony Bourdain I will return to the country next year to explore more of its fascinating places and lovely little corners. Vietnam is known as the country of motorbikes but it has more to offer than a simple means of transportation for locals and foreigners alike. Its hawker stall vendors are in a constant state of grace while carefully preparing exquisite Vietnamese dishes such as the pho bo and banh mi. 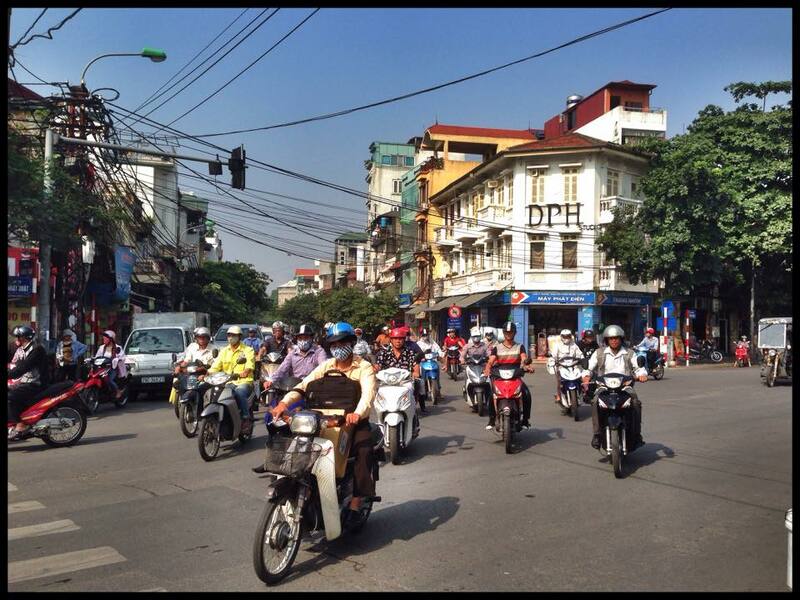 Similarly there is a beauty in all the noise of motorbikes navigating one narrow street to another in Hanoi’s French Quarter. 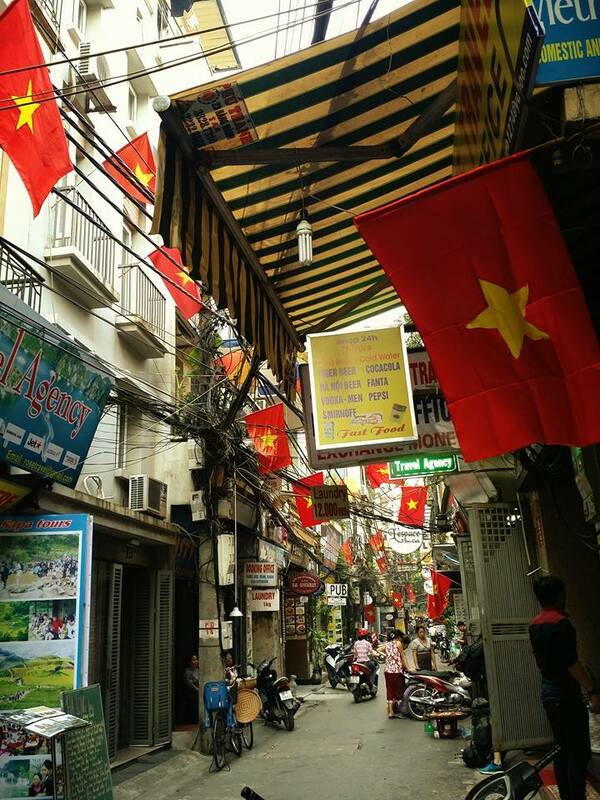 Having been colonized by the French, their influence in all of Hanoi’s old lovely buildings. The famed cantilever bridge, designed by Gustav Eiffel, although old, worn out and rusty, looks quite distinct. 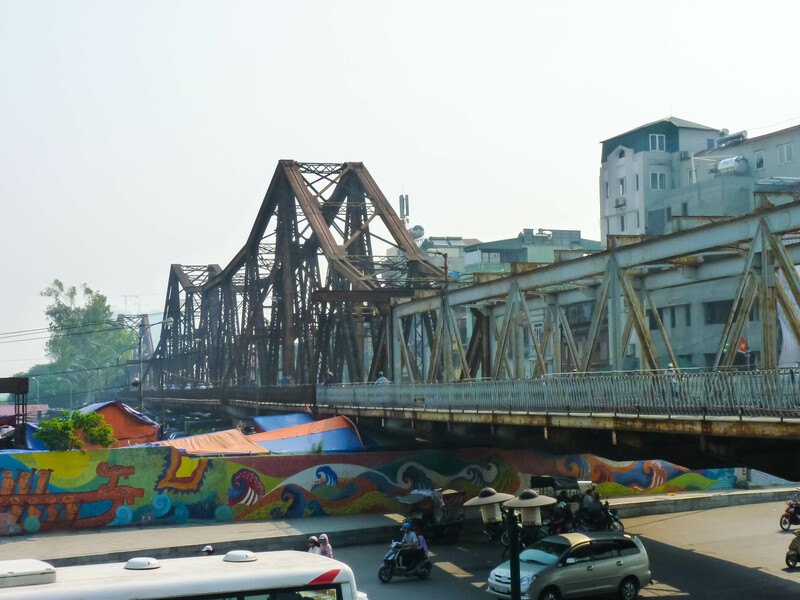 It is a constant reminder of the city’s history and colorful past. I envy Vietnamese people because they are very laid back. I never see them rushing from one place to another. Even flower vendors on foot do not sell in haste. They trust that they can make enough for the day, not only for themselves but also for their family perhaps. During lunch they are content to sit on those tiny, short stools while munching a wide variety of food. They have time to sit, enjoy their food and have a meaningful conversation with others. This is something, which you seldom see where I work. 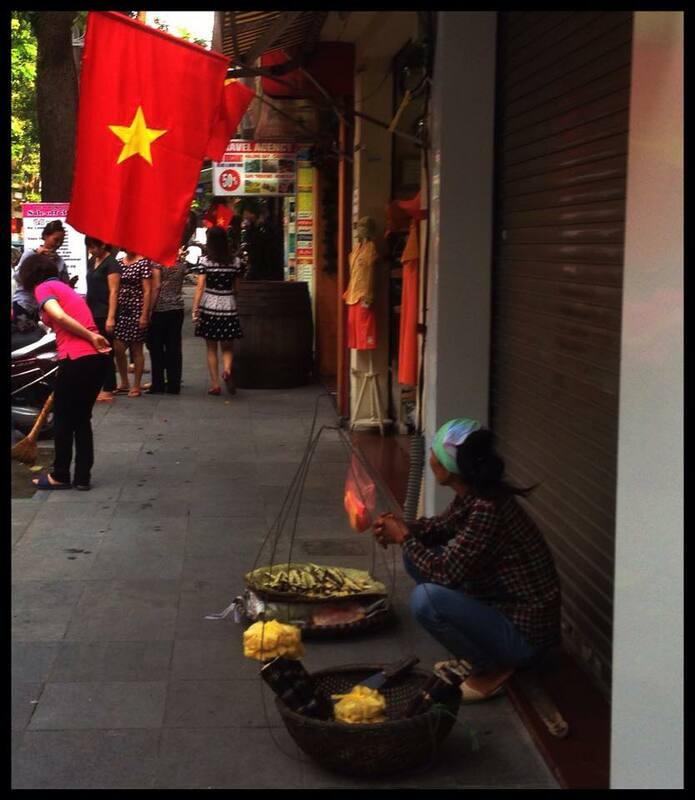 I understand now how easy it is to fall in love with the city of Hanoi, to fall in love with Vietnam. The place has understated elegance and beauty, carefree and inviting. No wonder many foreigners have been enchanted and have decided to settle there to find contentment, peace and beauty, such as the Italian proprietor of the Al Fresco restaurant. The pull of Vietnam is definitely strong. I see the glimmer in the eyes of the other travelers and I understand their desire to settle there even for only a few months, for I see the same glimmer and desire in mine.